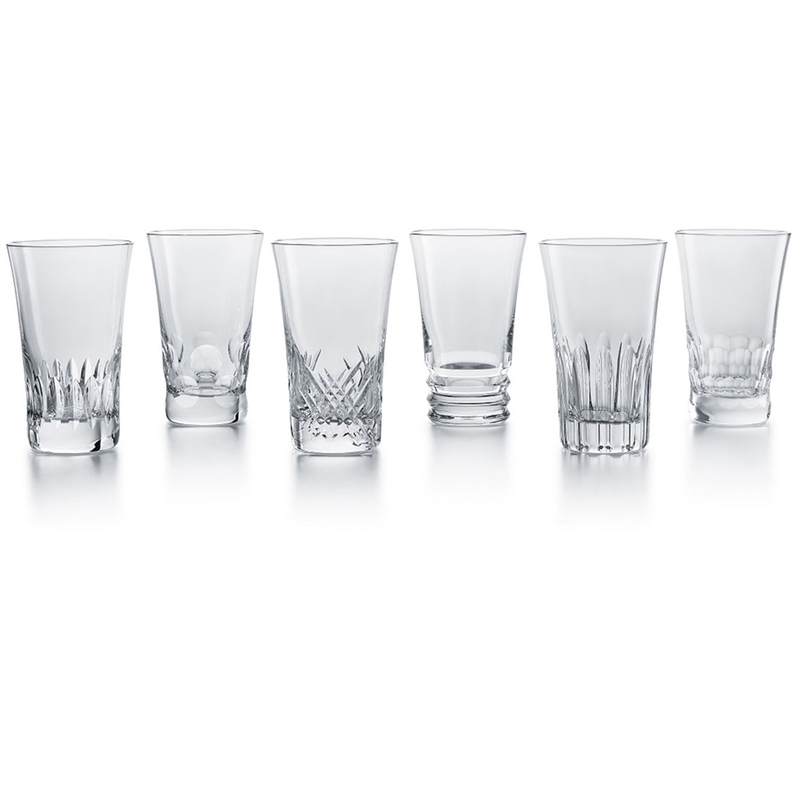 A set of crystal highballs offered in six iconic Baccarat cuts: Pontils, small diamond cuts, deep vertical and horizontal beveled cuts, and small flat cuts. The mix and match glasses are perfect for cocktails, long drinks, beers and more. 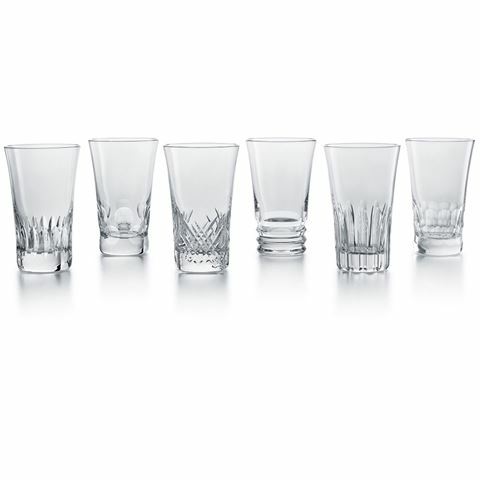 Comes as set of six glasses each with a different creative pattern.